but I do believe I am a glowworm." "We are all _____ but I believe I am a _____." Bring Out Yer Dead ... Spring Organizing is Here! We are all beginning to crawl out of our cooped up caves inside our homes as we enjoy the spring thawing the mounds of snow from the winter season. 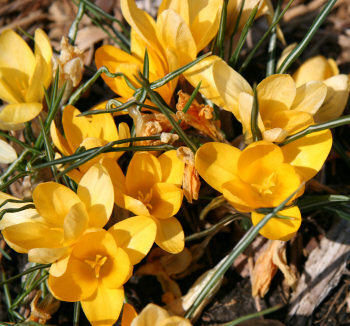 Along with discovering all the great "treasures" your dog has bestowed upon your yard, you begin to look at your garage ... Egads, what happened over these past winter months. "Spring weather is perfect weather for organizing the garage not too hot, not too cold!" Spring is an inspiring time of year. All the cold, cloudy short days become warm and sunny. Turn off the furnace, bust open the windows and get some fresh air into your home. Fresh air will bring a new flow of energy into your home. You'll be surprised the positive difference, even if the windows are only open for 10 minutes. With your home's energy feeling a dose of new found adrenalin, pop open your garage door and take a good look at what's happened over the past winter months. Is there stuff you didn't use last year still piled up in the corner? What about the toys the kids have now outgrown or lost interest? 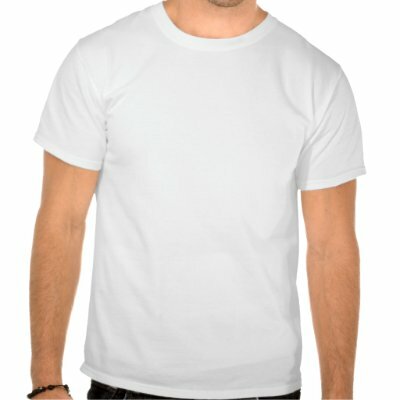 Do you have items that you no longer even like? Once you get a bit of the dead stuff out of your garage, you'll feel so much better. Hopefully during the process no one was clunked over the head for not wanting some items to "go on the cart." ... and if they did, it was probably for the best. What's your favorite Monty Python quote? You're Awesome. 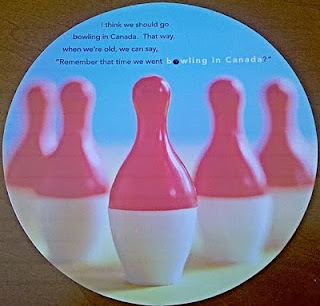 Wanna Go Bowling in Canada? We all have these ho-hum, woe is me kinda days. Getting motivated to get work done and putting on a happy face is such a struggle. Perhaps you need a reminder of how great you really are. When working with people organizing their home office, I always make sure we have a Feel Good folder. Everyone absolutely needs to have some form of this in their life. In your Feel Good folder, you'll have a small collection of notes, cards and such that remind you how great you are. This folder is great on those ho-hum days, and even essential, on those days when you feel you've been run over by a freight train left on the tracks to rot. When you feel the need for a little pick me up, open up your folder and look at the sweetest little note from your son, a birthday card that just made you laugh out loud, a note from a friend telling you how proud she is of you or a thank you from a friend who you helped install a hardwood floor. After a trip down "Hot damn I am pretty awesome" lane, you will begin to feel much better about the world around you. Slip your Feel Good folder back into your cabinet knowing that you've got a boost of your greatness waiting for you in a moment's notice. What's in your Feel Good folder?